Let us introduce you to the intuitive and magically world of MFR. Join us for this highly explorative and playful workshop on myofascial release. This one day workshop is for therapists who wish to gain insight into what the fascial system is and learn how to apply simple and highly effective MFR techniques in a seated and table position. As a therapist, you will find this a soothing and relaxing therapy to give. Your clients will find it deeply cleansing and restorative. bodywork? This workshop will help you achieve this by developing your palpation skills and then draw the muscles onto the skin. We will incorporate movement into the workshop to clarify the actions and locations. Highly interactive and playful! Trigger points can be found anywhere there is muscle tissue and act like “road blocks”. These tightened bundles can cause referred pain and eventually postural adaptations if not dealt with. 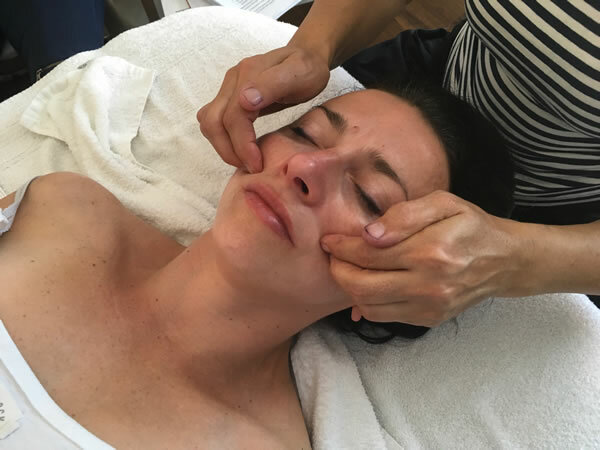 Let us teach you how to effectively treat trigger points and see huge results in your treatments.